A look at a neurosis that is a variation of Tall Poppy Syndrome - an obsessive compulsion to take away credit from someone of great gifts. Edward De Vere wrote poetry that is published - compare it to Shakespeare's - it's not by the same man. It is one of the more curious developments in psychology. There are people so afraid of William Shakespeare's accomplishments, they'd rather pretend that he never wrote a play. What do they really achieve? What is the point of dismissing Shakespeare? What is the compulsion? It is a form of neurosis, defined in this case as an irrational obsession. History shows the first reports of this particular condition, which has been termed Shakespeare Denial by Lev Raphael, started in the 19th century. The writer Thomas Garvey termed it Shakespeare Syndrome, yet I feel that term can be applied even more broadly than just to people who are antagonistic to Shakespeare. Shakespeare Syndrome is a good term for the general neurosis, a form of paranoia focused on people more gifted than one's self. This is when someone is so terrified of a person's talents or abilities, a fantasy is created to take those gifts away. We have seen this happen not just in relationship to Shakespeare, but, most recently, Shakespeare's Syndrome can be applied to President Barack Obama, whose detractors were so set against him they tried to take away his citizenship by proclaiming he was never born in the United States, and many of whom are still insisting that he has not accomplished anything at all, in spite of all evidence to the contrary. Of course there have always been forms of this kind of paranoia. A common form of it is Tall Poppy Syndrome, which is a compulsion to tear someone down so they don't seem better than one's self. Shakespeare's problems with detractors started among his fellow poets, from Robert Greene, who complained Shakespeare thought he was "the greatest Shakescene in the country," to Ben Jonson, who, in spite of a lasting friendship, would be very dismissive of Shakespeare, in what I think was more of a game born out of his competitive nature than jealousy or paranoia. So, Shakespeare's fellow poets were simply jealous of the man they knew and the accomplishments he had. What happens when a man is long dead and is regarded as an icon? The jealous grow in numbers large enough to form societies. Francis Bacon wrote a few amateur poems. He was primarily a scholar and politician. What Are The Signs Of Shakespeare Syndrome? 1. An obsession with complaining or gossiping about, slandering or libelling a specific target person of gift or accomplishment. 2. An arrogance about their own intelligence that disguises uncertainty, fear, and jealousy. 3. An unwillingness to accept other opinions about the target person, or to accept being wrong about what they think. 4. Anger at the target person and an unwillingness to accept as legitimate anything that they do. 5. Bullying and other abuses against the target person. All unreasonable prejudices are created out of fear. But They Don't Seem Like Frightened People! Of course, Shakespeare deniers don't seem like frightened people. The act of fantasizing his talents away removes the fear without them knowing it. Also, they're not really frightened of Shakespeare at all; they are frightened by other people accomplishing things they feel they can't. The saddest part of all this is many Shakespeare deniers or other people who have Shakespeare Syndrome and apply it to other targets are otherwise brilliant talented people themselves. If they were to apply their energy to using their own talents and accepting themselves for who they are, if they were to accept their own imperfections and just do what they do and enjoy it, their compulsion to knock someone else down would go away. Christopher Marlowe did influence Shakespeare's plays but didn't write them. 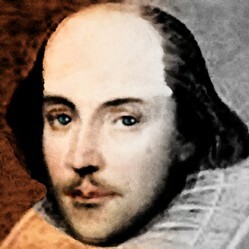 Who Is A Prominent Target of Shakespeare Syndrome? President Barack Obama. The most visible example of those who have directed their Shakespeare Syndrome against him are called The Birthers, who tried to erase his right to be President of the United States. There are still many detractors who would rather make use of Shakespeare Syndrome than accept him for who and what he is, or what he does. Because people with Shakespeare Syndrome are often loud and insistent, in order to try to increase their stature and knock someone else down, it seems that there are more of them than there are. How do you deal with someone who has Shakespeare Syndrome? Don't give them the attention they are craving. Don't reward them for their behavior. Mary Fitton was a very young girl when some think she wrote Venus and Adonis. How Does One Deal With A Shakespeare Syndrome Attack? Learn from President Obama. If you are the target of such an attack, stay as calm and focused as possible. Always remember that what someone who has Shakespeare Syndrome is saying against you really has nothing to do with you - it's all about that person. That person wants to get attention and be admired. Targeting you is sort of a strange reverse flattery - he or she is trying to knock you down because what you do well can't be ignored. You can't change what the person is doing - but you can keep your confidence and self respect and calmly go on doing what you do and living your own life. That's the best solution. Shakespeare lived his life and did his work. That's it. There is plenty of evidence that he really did write those plays and did all he did - there's nothing to worry about there. The only sad thing that I think about in terms of the attacks on Shakespeare, is that the people who are being put forth as alternate Shakespeares aren't being remembered for their own lives and works, which were considerable. In spite of all attempts to knock William Shakespeare down, the Shakespeare deniers who pretend to champion other "Shakespeares" are actually leaving them more and more in his name's shadow, and they don't deserve that. There is another group often left in Shakespeare's shadow as well. There really were other poets who wrote portions of, or heavily influenced, Shakespeare's works. He had collaborators on a number of the plays. The evidence is out there. But people with Shakespeare Syndrome would still rather credit someone of noble blood or higher education with writing the works - not journeyman playwrights. Shakespeare Syndrome is not just a neurosis about talent, but a neurosis about class. Is It A Serious Idea, A Game, or Neurosis? "But I Just Thought It Was A Cool Mystery Game!" There are some people who have become involved in the Shakespeare Authorship game - for it is a game people are playing with William Shakespeare's bones - who have done it for the fun of it. Some think they aren't playing a game at all, that if this many people think that this is possible, there must be something to it. They may enjoy trying to find all the different ways noblemen or women could have secretly written all these plays, but they are forgetting something - there were real people involved. It's not like a role playing game. It was first created out of an illness: if you read Lev Raphael's piece about Shakespeare Deniers, you'll find the woman who started the whole thing ended up in an insane asylum. There are those who are under the impression that a lot of people believe this is true. Actors Derek Jacobi and Mark Rylance started a Document of Reasonable Doubt that they claim nearly two thousand people have signed since 2007. Two thousand is not a large number when you remember millions have read, seen, or studied Shakespeare in the past 400 years. Don't join in the craziness. There's more fun out there, questions about real things Shakespeare may or may have not done. There's some secrets that I am surprised people haven't found yet. The really interesting things are in the real history - not in things made up by people who wish they had a hundredth of the talent that Elizabethan Drama was founded on. I'm not just writing about Shakespeare here. Go discover the poets and the players of a remarkable age. What are Derek Jacobi and Mark Rylance's reasons for this? An excellent comment by Thomas Garvey. A look at Tall Poppy Syndrome, another version of this same neurosis.